Faseeh had the most liked content! I actually can't think of this. YO. Just dropped a Sonic Forces remix with EXShad! Check it if ya like guitars. Any Final Fantasy fans here? Here's a remix of FFX's Tidus' Theme. Hope you like it. To be honest, still intrigued but was definitely thrown off and not fond of the cutscene when I first saw it. I like metal guitars, I like that Jun is back, I like that it's not just Ohtani on the soundtrack. Something about the cutscenes looks... unpolished to me though? From Sonic's homing attack animation to the lighting... Kinda looks like Colors' cutscenes but less polished. At least in the first cut scene where Sonic gets hit. It just has no impact to me, when it could be a lot more powerful? The other cut scene seems fine to me though. Still looking forward. Thanks Sean! I appreciate it a lot haha. Hope you do like the whole album. GET THE ALBUM HERE: http://sonic25.ocremix.org/ So OCR just dropped this. Thought I'd give it a signal boost among the most passionate of Sonic fans haha. I was able to be a small part of it (Coral Caves with Jorito and Joshua Taipale, 0:55 in the trailer ) The music in the series honestly is one of the best features to me. It's what made me start making music so I have a lot of sentimental value to it, it's nice to see a Sonic remix album tribute to songs across so many of the games. :') Happy birthday blue blur, you've been an important part of my life. I do but only only a little. 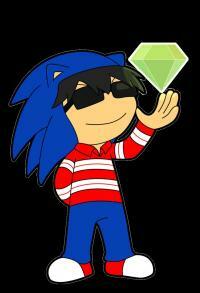 Sonic X is the catalyst that got me back into Sonic after all! What Makes Sonic Music "Sonic Music"? To answer shortly, it's dependent on the game. Sonic music will aim to fit the atmosphere and level just right, and have a very memorable melody most of the time. They tend to be interesting songs in terms of arrangement and composition. Sonic 1 and 2's music had the direction of being like a "movie score" and fitting to the levels. Sonic CD takes that idea and goes even more modern J-pop and funk influenced with it. Sonic 3&K however takes Sonic 1 and 2's idea and adds the upbeat, funky nature that we remember Marble Garden or Mushroom Hill for. Sonic Mania continues on with the idea from 3&K and CD as far as we can tell. Sonic Adventure 1 takes influences from all the popular genres at the time, and takes the idea that the classics had already laid out. It even goes more atmospheric at certain instances (Ice Cap, Lost World, Mystic Ruins). Sonic Adventure 2, kinda changes things up, with the whole character based genre idea - and to be perfectly honest, I do not find it one of the better OSTs in the series. It kinda moves away from the ideas laid out so far, but most tracks still are really good and do still convey the mood necessary. Heroes is a wonderful return back to the ideas of the classics, with a really strong melodic focus but now instead of funk, the main influences are techno rock. Sonic 06 goes back to what Sonic Adventure 1 did with more orchestral and electronic influences. Unleashed takes the idea that the classics laid out and REALLY flesh it out. The culture of every stage is bursting out in the music and it works so well. The upbeat nature of most of the level tracks and the more relaxed tempos of the hub worlds really reflect the pace well too. Sonic Colors carries on with the ideas laid out by Heroes, Unleashed, Adventure 1 and the Classics. Generations, needless to say, goes on with this. However, Lost World and Runners break this trend to me. Lost World's melodies are not as memorable imo and opt for more Mario elements - Tropical Coast 1 is the biggest offender I can think of immediately in Lost World. The track still do carry the atmosphere but they lose the genres that Sonic has always been known for too much in my opinion. Runners on the other hand uses the same style for every track. Yes, it's good running music I guess but the atmosphere isn't captured as well across the different level tropes for me. Scary enough, Forces could be falling for this trend, but I hope not. Ah man I had no clue the Black Knight writer left! I was about to have some faith due to him/her in the writing department. hey have a sonic forces remix. I'll begin by saying, wonderful OP @Blue Blood, it was a good read and although we may disagree about Forces, it was very well justified. So me and Forces? I'm excited. Honestly, the reason I got into Sonic was the world and its lore as much as how fun the games were. Forces looks like it'll have this both and that satisfies me. I hope the story doesn't chicken out and actually makes use of what it has - a lot of characters, a disastrous situation (in which I want to see how Sonic will react), the clash of dimensions. Maybe too much, but at least make use of the extended cast. The in-game dialogue actually gives me hope. The Boost gameplay I actually like, so there's no issue there. It's a pity Parkour has been just thrown away. I really wish slowly Sonic Team would take ideas from all their gameplay styles and add it into the Modern gameplay. Of course, Modern Park Avenue's level design got me hopeful and then disappointed me. I wish the rest of the game at least tries to recreate the Modern Seaside Hill magic. Classic Sonic was inoffensive in Generations and I hope it stays that way this time but the level design in Green Hill... no man, it's really bad. Hopefully, just one stage. Custom Hero... eh, I was shocked but I'll just make Boom Sonic or the Rabbit character design we had for Sonic before or Mighty and call it a day. I think it's a cool idea but not something I'm invested in. The Wisps being locked onto just this character is something I'm completely okay with, but god I wish they'd explain the wisps' return but fat luck on that. Not going to happen. 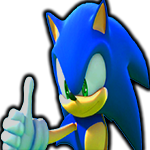 Oh and I hope that if Forces succeeds... Sonic Team gets more confidence to make darker stories... not to make the Custom Character return. I want my extended cast to be back and important man. The game looks good... I need to see more lively, beautiful things though. This is not Generations or Unleashed levels of spectacular to me, but it's good. That said, Chaos Zero looks SO cool. Music... I'm disappointed. 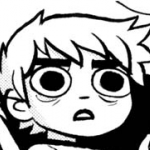 As a musician, I love most Sonic OSTs, but Lost World, Runners and now Forces look like they will disappoint. I have nothing against Ohtani - he has made wonderful tracks before - but I feel he is stretched too thin, he needs a break. I want my Kumatani, Senoue and Nanba back please. Oh and I totally would love the return of Cash Cash. And whatever happened to the Madeon rumour hahahaha. 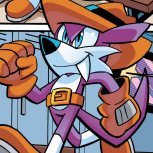 So in a roundup... yes, I'm looking forward to Forces. It does so many things wrong. Very wrong. Classic Sonic is useless and shouldn't be here, there is way too much going on for a cohesive game, there is too much of nostalgia pandering, the ambition here seems to lack direction... but all that said, I'm excited to experience a game that is fun and has an interesting story. I'm glad to see Silver and Shadow back. After all, Sonic is my most favourite video game series and the games mostly give me a lot of fun, but I should lower my expectations. Lost World severely disappointed... but I really did like the rest of the Modern games, so there's that. Dropping by to say, I literally went "oh my god" when I saw Shadow, and CHAOS. Did not expect that at all. Obviously over optimistic for this game, but I really hope we get a good story. I'll enjoy some good character interactions. This game is a weird mix of many weird things, but I have belief that it'll be fun.